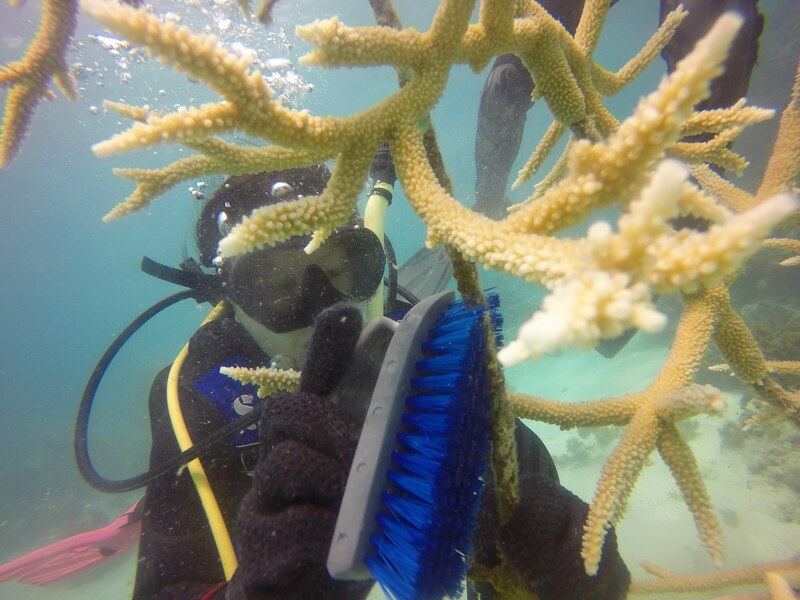 3 Volunteers Tell Us Why It Is Worth To Collaborate In A Coral Nursery Maintenance Action. 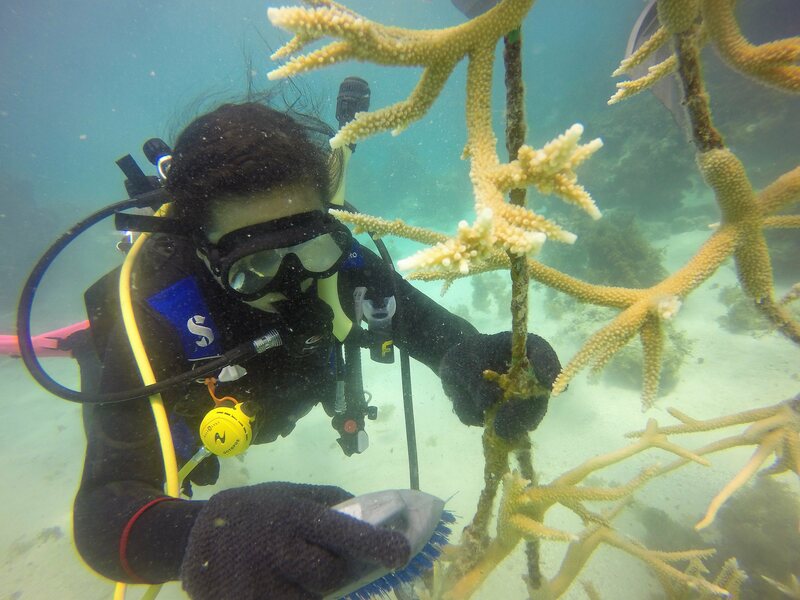 On April 17th, Go Green with Asociación de Acuáticas in Bavaro pushed another Green initiative in Bavaro. 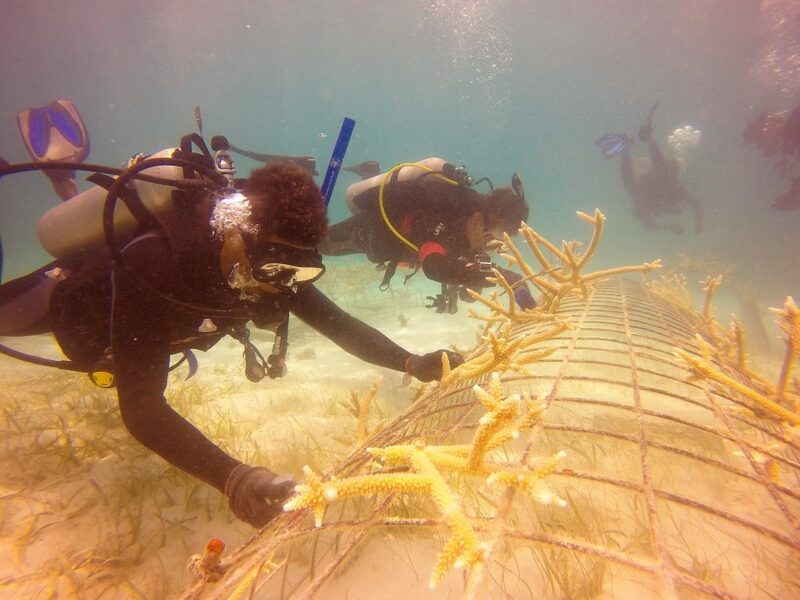 As you know transplantation of additional corals into an injury area may accelerate recovery. 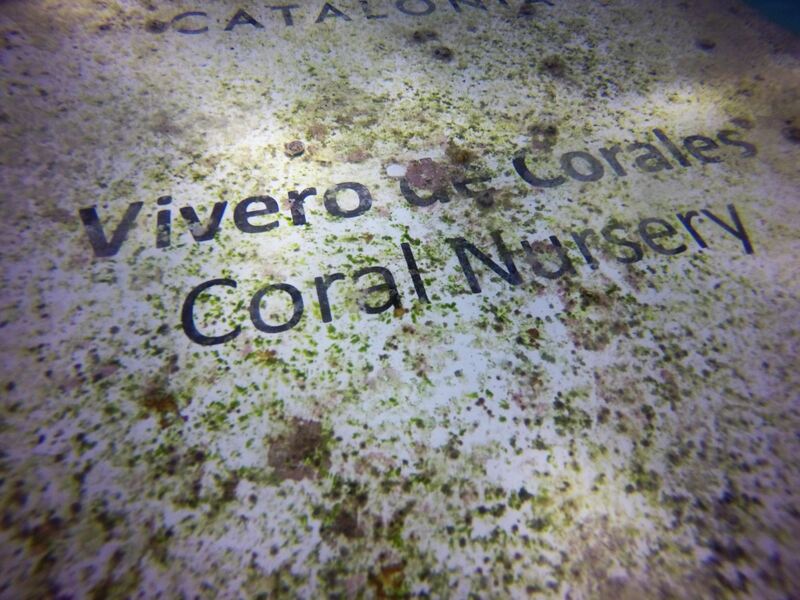 However, these coral nurseries need maintenance. 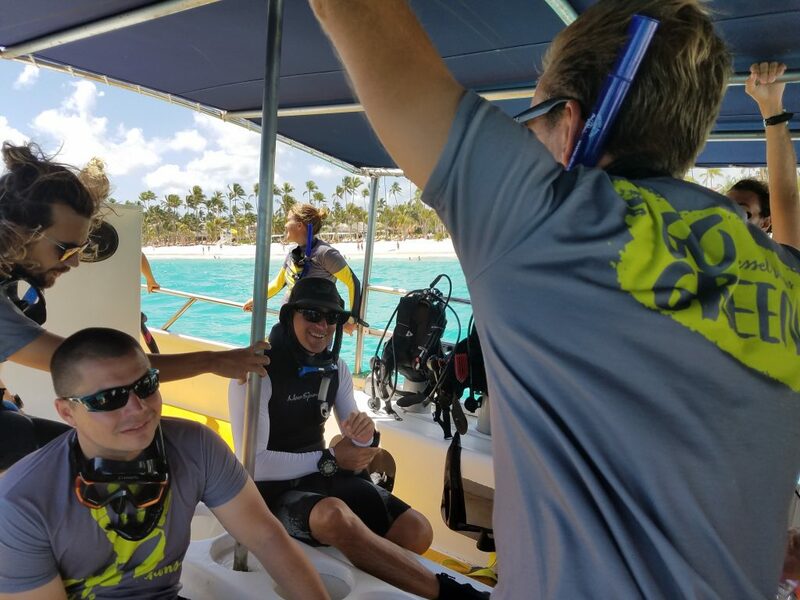 During this conservation action, Go Green involved the volunteer assistance of professional and amateur divers with interests in the marine environment to assist with and learn about coral identification, data collection, and transplantation procedures, while also increasing public awareness. Today Go Green wants to give all the relevance to some of the GO GREEN heroes who collaborated to help us to leave a better world. 1. 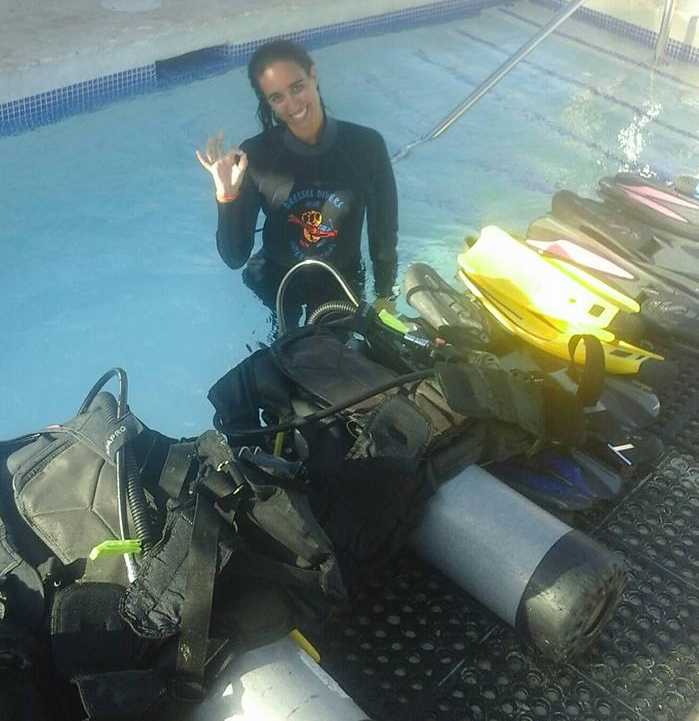 How was the “Go Green” dive? 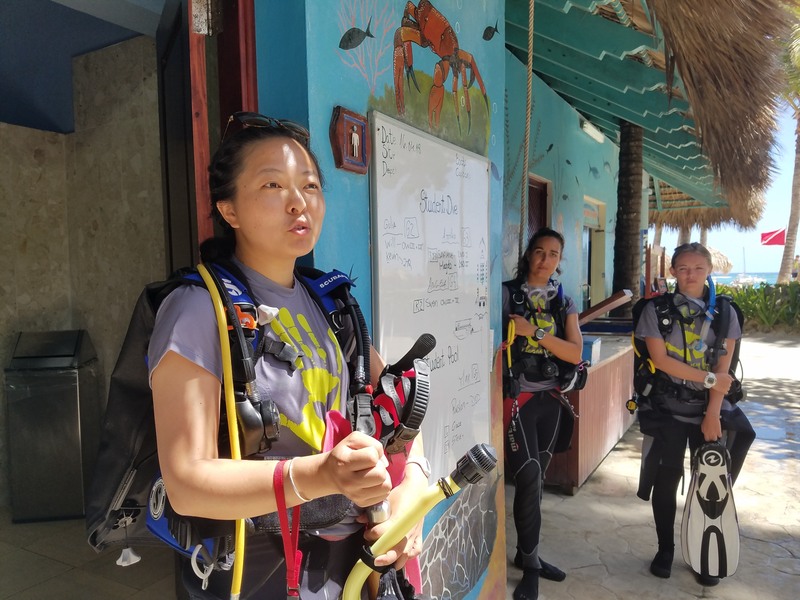 It was very interesting and very educational with regards to how corals grow and why it’s important to promote such activities. 2. Why did you decide to participate in this dive? 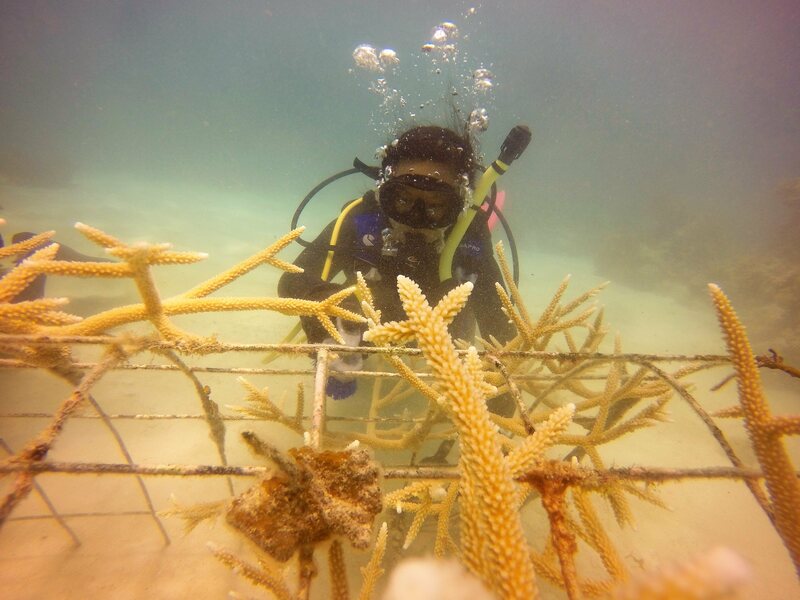 Because I thought it would be good to learn about coral conservation and so I can explain to my customers exactly why it’s important to protect the corals and how they grow and their function in the eco system. 3. 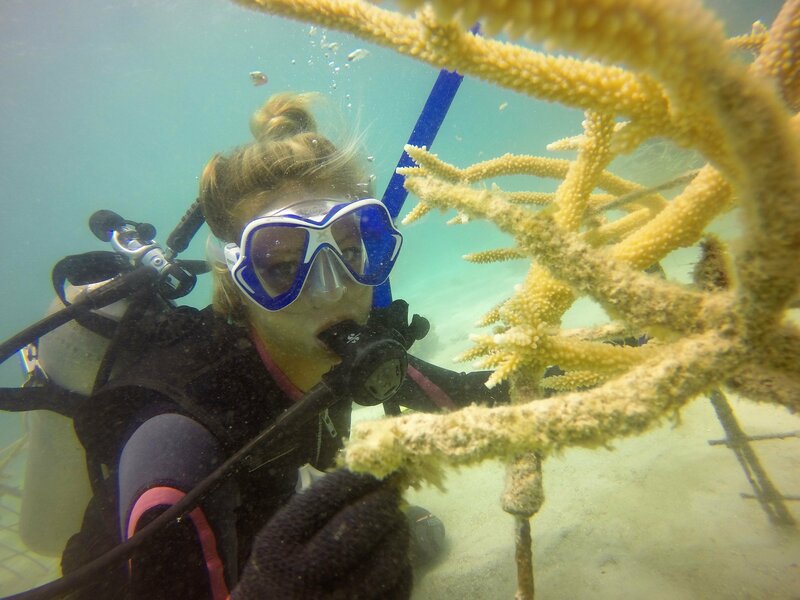 In your opinion, how can we help to make positive changes in our ocean? 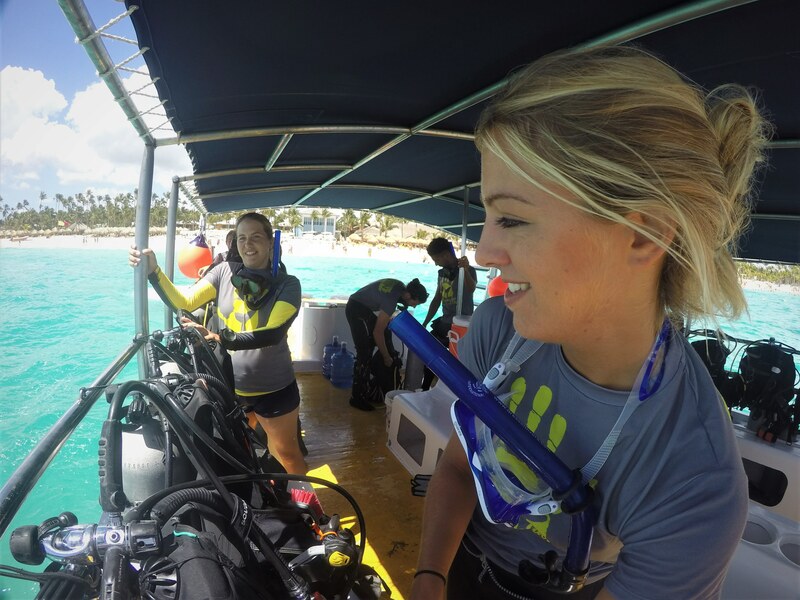 By taking people diving and making them more aware of the problems our oceans are facing. And by sharing your passion with your client you can transmit this knowledge. 4. Would you join us again in this activity? 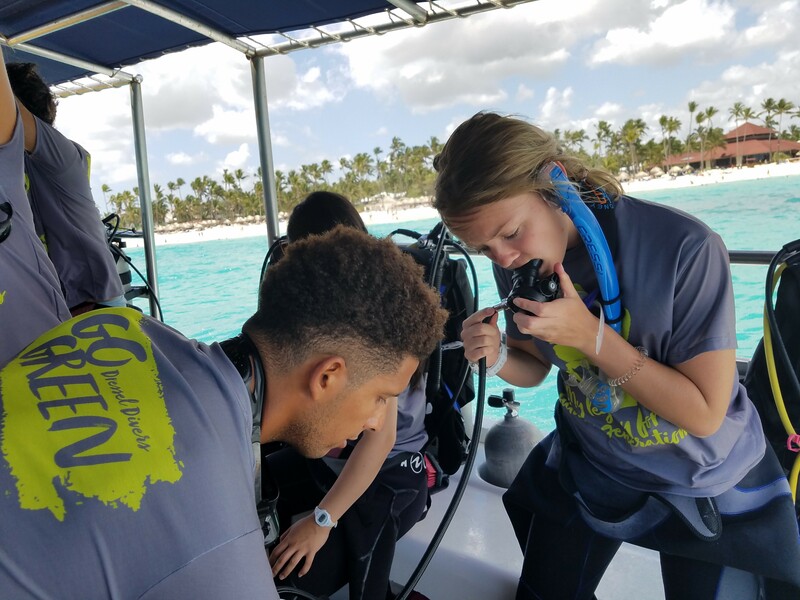 Of course….it is a nice way of continuing to learn about our coral system in the Dominican Republic. 5. 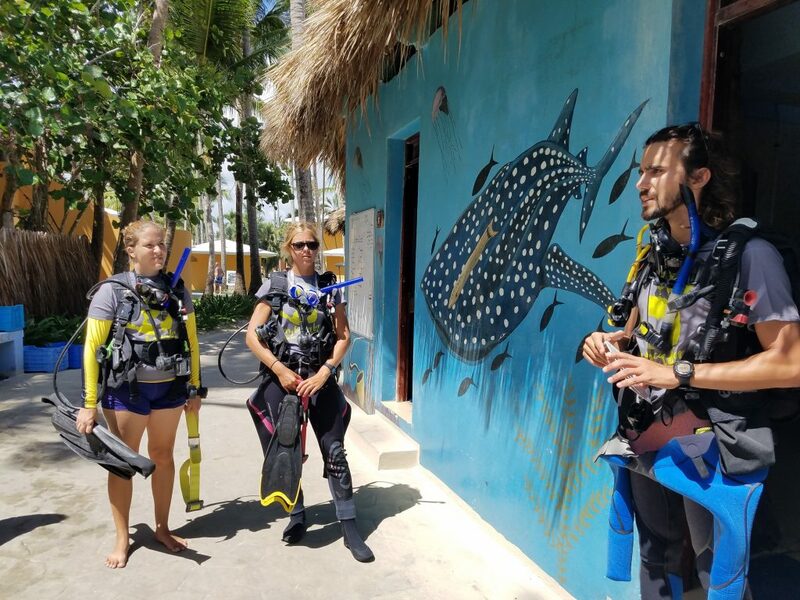 Would you recommend this dive to any of your friends? 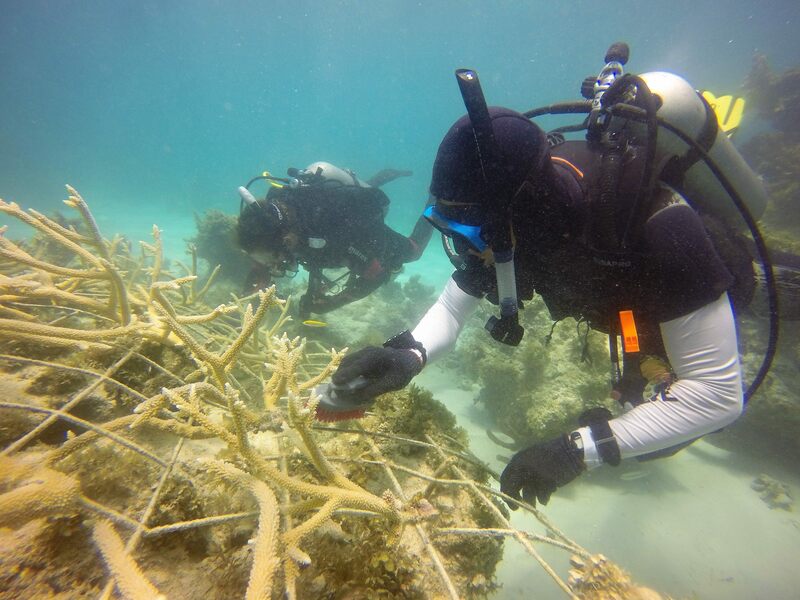 Of course…so they can see how corals grow and the importance of preserving them. 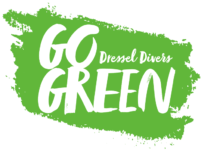 How was the “Go Green” dive? 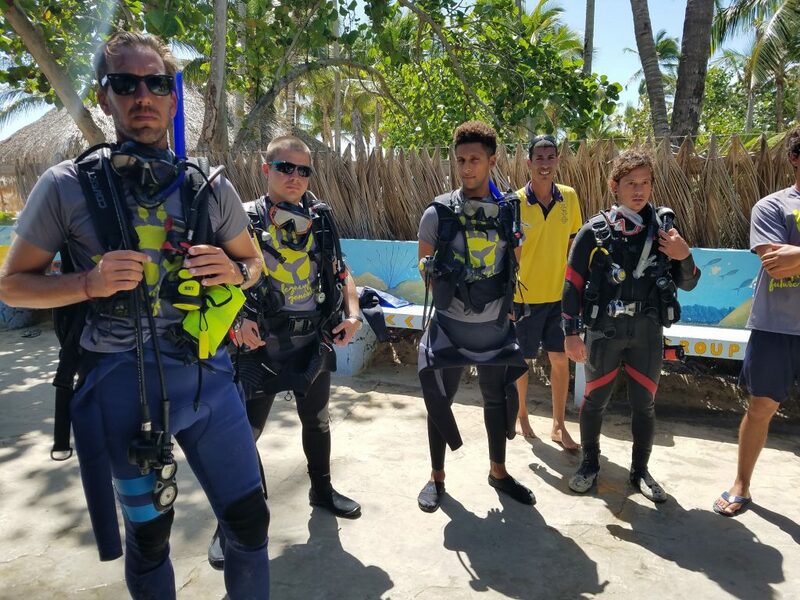 It was a good dive, very educational and interesting to see how we can participate in coral conservation. Why did you decide to participate in this dive? 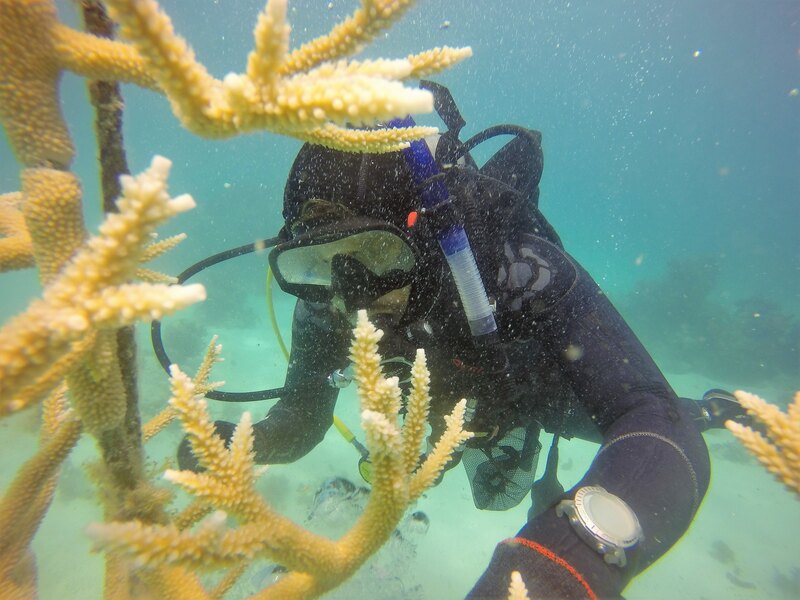 I thought it would be a good idea to learn more about coral conservations and to see the changes we can make. 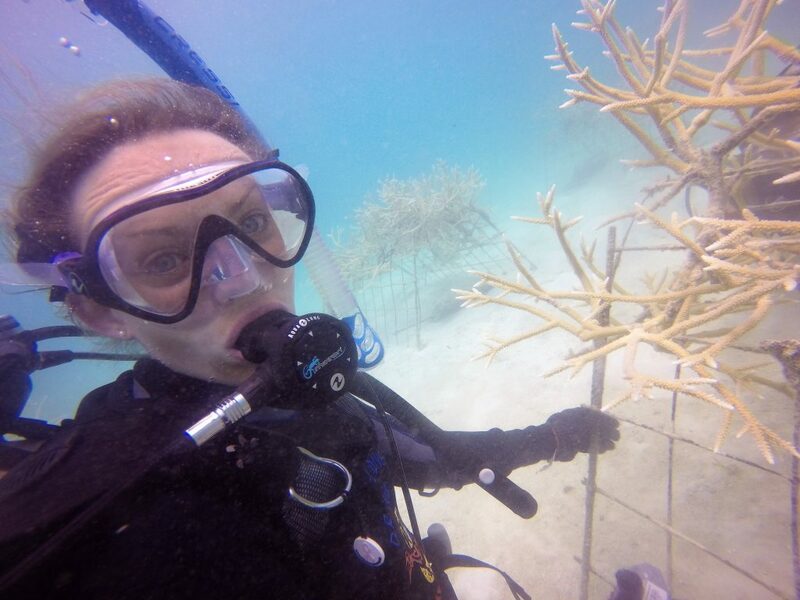 I wanted to participate to become more involved in protecting and restoring our reef systems. 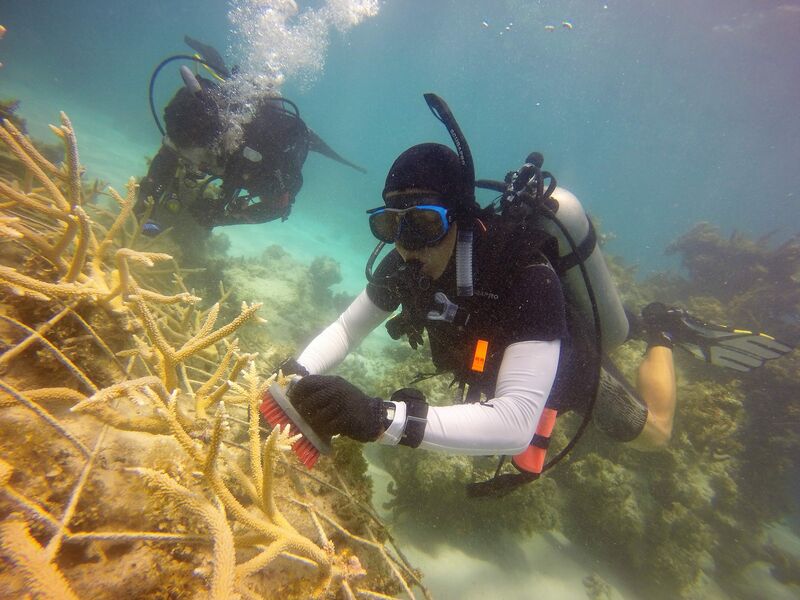 In your opinion, how can we help to make positive changes in our ocean? 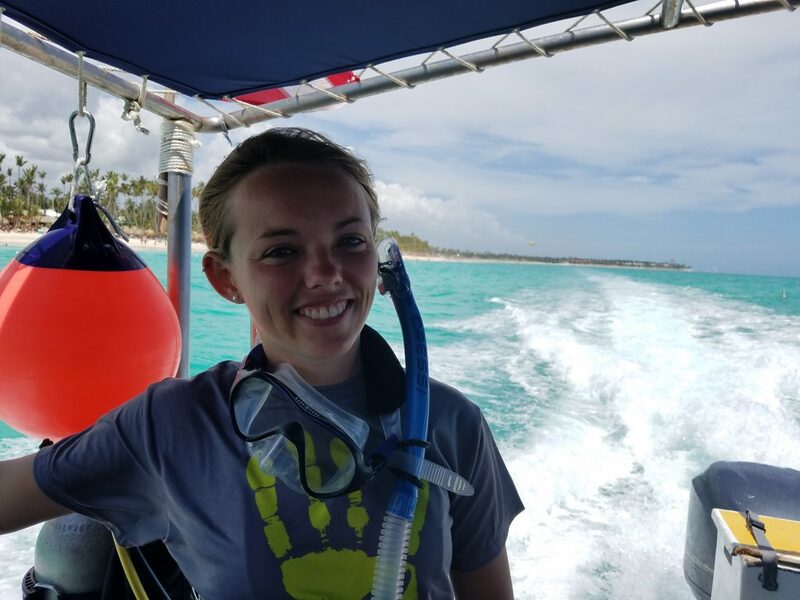 We can make a lot of changes outside of the ocean to help stop polluting the water in which these sensitive organisms live. 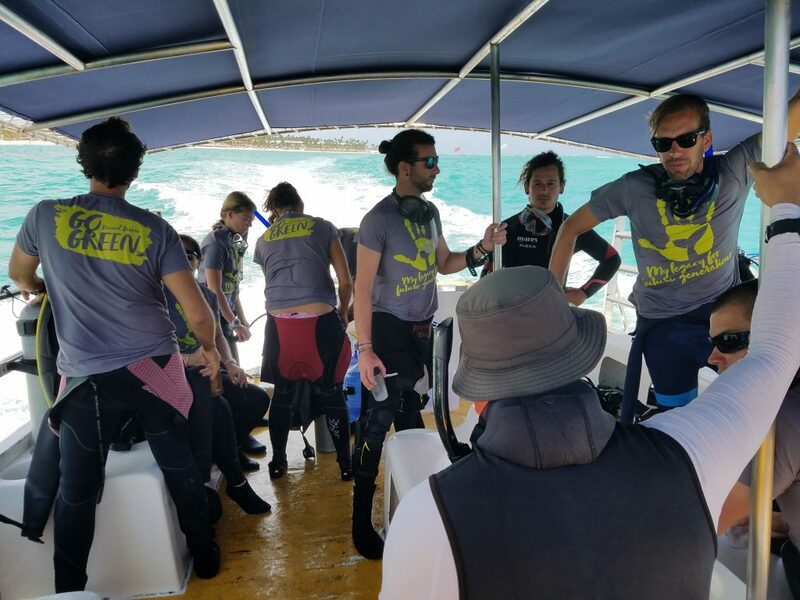 We can try to spread awareness about how important it is to look after the ocean in general and we can help to generate involvement to help restore our reefs. By hosting more activities like these we can help to make a difference. 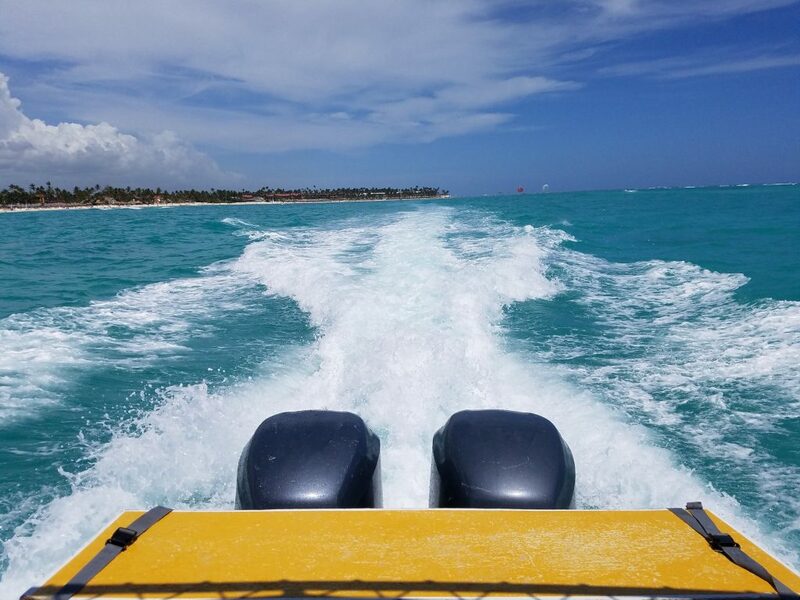 Would you join us again in this activity? 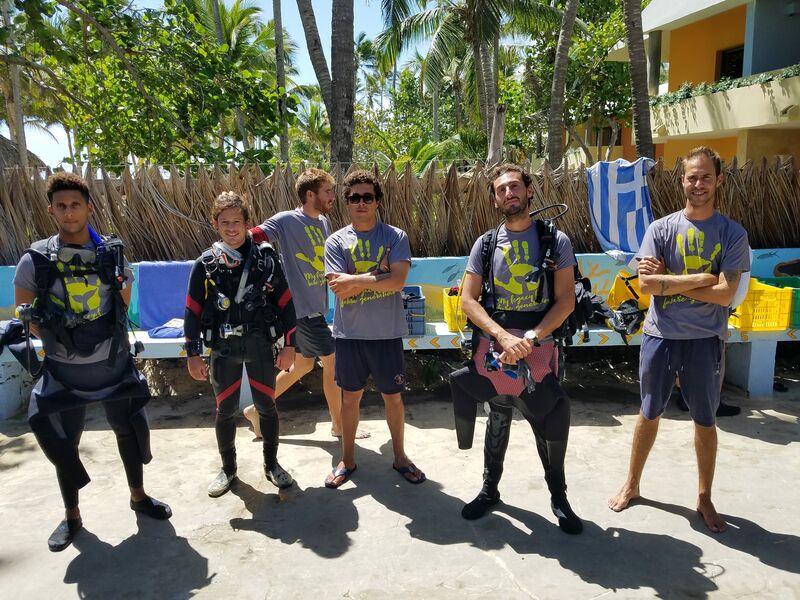 Absolutely, this was a great way of feeling more actively involved and by doing this I can encourage more people to participate in these kind of activities and share my passion and learn new things about the coral reefs and how we can help make positive changes. Would you recommend this dive to any of your friends? 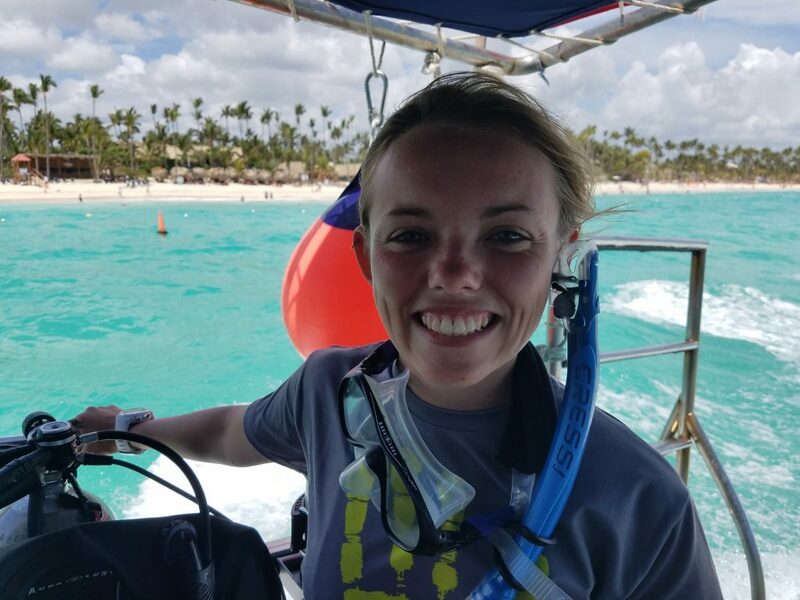 Yes, this is a great way to feel that you are a part of doing something good and would want to share this experience with everyone. 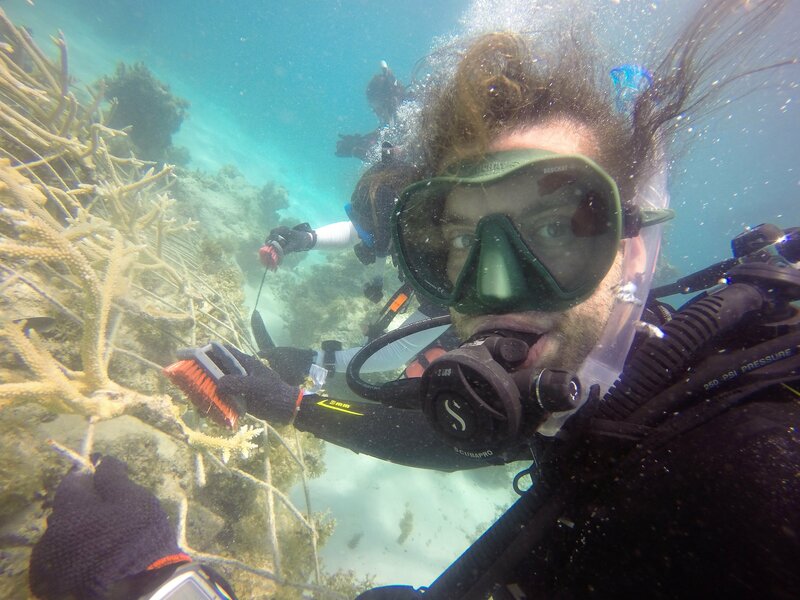 It was a great experience, I learned a lot of things about coral conservation and the reef eco systems. 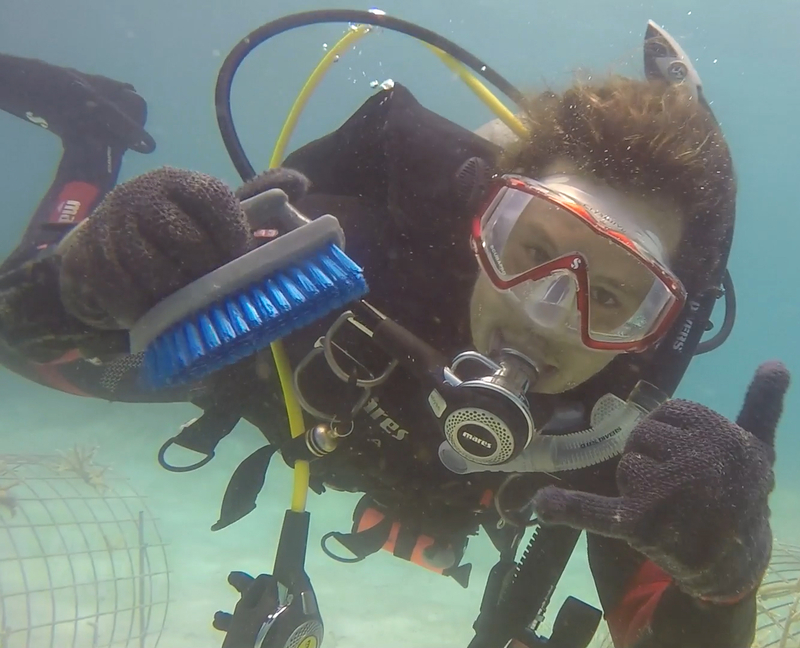 And this experience made me feel more actively involved in the protection of the ocean. 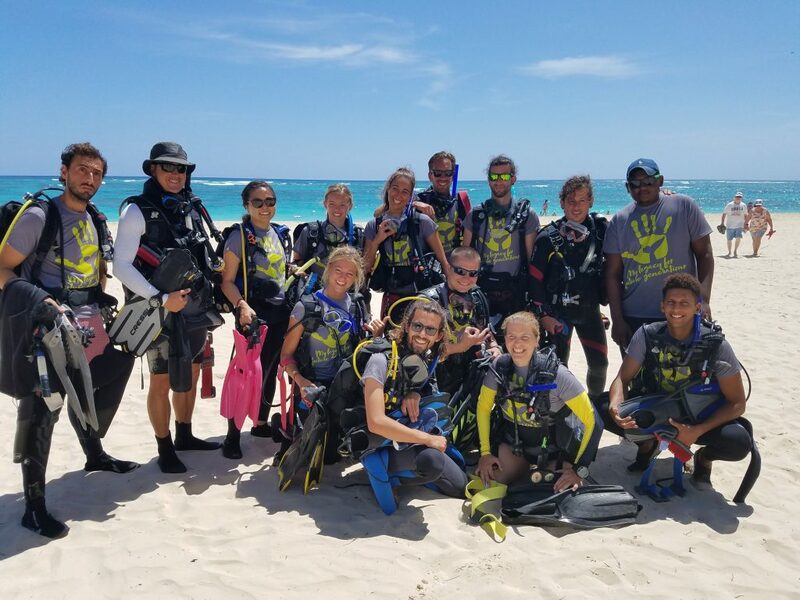 Because I’m a scuba diver and I know how important it is to protect our ocean and it’s with these kind of events that we can make a change. By hosting this kind of activity dives and by making people more aware of the condition of the ocean. 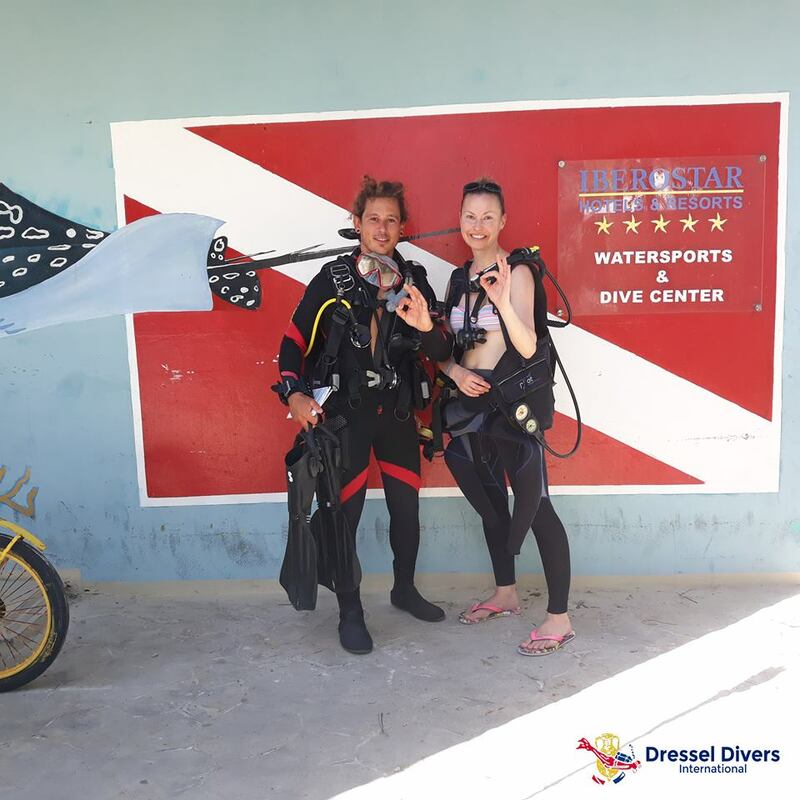 We can attract more involvement through divers and we can encourage everyone to make a small effort to make a big change. 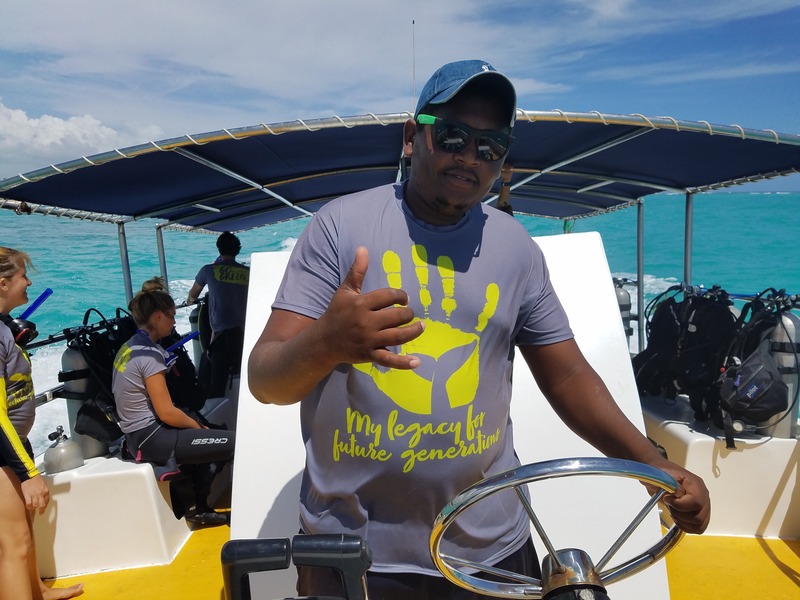 And through teaching and spreading the importance of being eco-friendly with regards to our reef systems especial with younger generations since they are the future. For sure, it’s like a kind of addiction now. Every time I participate I can see the changes we are making and I would go just for that. It’s also very satisfying to help others get involved in these activities too. Definitely. Sharing this experience with friends and family would be awesome!